February 12, 2018 (Seoul, Korea) – CBRE Korea, a global commercial real estate services company, announced today it is providing property management services for FKI Tower in Yeouido. 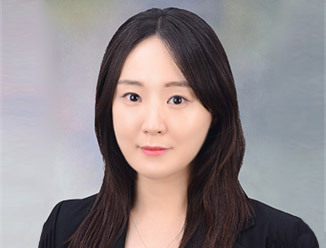 As the first global real estate specialist to manage FKI Tower, CBRE Korea expects to improve the property’s profitability and asset value. FKI Tower is a 50-story prime office building (168,681 square meters) located in the center of Yeouido. Due to its easy access to central Seoul and Gangnam, eco-friendly systems and business facilities equipped with large conference center, it has attracted top-notch tenants. To further enhance the attractiveness of FKI Tower, CBRE plans to offer a variety of retail stores which will position the FKI Tower as a landmark in the Yeouido area. Darren Krakowiak, managing director of CBRE Korea, said, "We are providing differentiated property management services based on CBRE's global expertise to ensure FKI Tower becomes a premium product in the commercial real-estate market. To enhance the value of the FKI Tower, we will provide a number of solutions to benefit existing and future tenants, while contributing to the development of the commercial real estate market in Yeouido Business District." CBRE Korea currently provides professional property management services to major domestic commercial properties such as Gangnam Finance Center, Gwanghwamun D-Tower and The-K Twin Tower, with a strong property management portfolio of Prime grade office buildings in all three of Seoul’s major business districts: Central Business District (CBD); Gangnam Business District (GBD); and Yeouido Business District (YBD).